"I'll Show You The Amazingly Simple 'Step By Step' Methods Used To Successfully Launch Your Online Products To An Eager Audience That Is Ready To Buy..."
You know, back when I first started out in online marketing in 2002, there was always one thing that amazed me about this business. This is it: I'd wake up in the morning, and on checking my mail I'd see an ad for a product that would claim that they're only selling 500 copies before pulling it off the shelf forever. I'd think nothing more of it, go about my daily business, then wake up the next morning and check my mail again. This $500 product they were only selling 500 of before pulling off the shelf forever had already sold 250 copies! Now in my naivety I did wonder if they were serious about this or it was just a marketing ploy. Several years down the line however, on meeting these marketers and actually seeing this in action. A full 4 week start to finish, step by step launch guide for your products. From the planning stages, all the way through to launch day and beyond, ensuring that your product launches have the potential to reach circulations in the hundreds of thousands within weeks. Imagine what those numbers would do for your sales. 1 reason why a majority of marketers are failing to successfully launch their products by breaking the natural flow and chain of events surrounding a successful product launch. Are you breaking that chain? 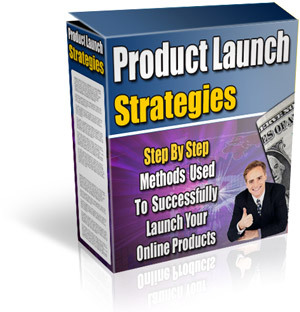 We'll show you how to avoid this pitfall that can ruin your chances several weeks before you even launch. 6 aspects of a successful pre-launch. A short but simple checklist to ensure you have all the tools you need set up and ready to pull in huge amounts of leads and make large numbers of sales in the most efficient way possible, and pave the way for the future at the same time. Miss one of these and the chain is broken. 5 are useless with the 6th. Are your tools letting your sales down?